To put the “social” in social media a bit more, I couldn’t help but participate in the latest Old School Blogging Q&A that I was tagged in by Kerry from Breadwinning Mama. Blogging certainly has given me a glimpse into the minds and lives of so many interesting people – many of whom I consider “virtual friends,” as I eagerly read about your latest musings. So if you want to know more about my marriage, babies, and sources of bliss, read on! And feel free to participate too by grabbing the Old School Blogging button & copying and pasting the questions below. He had just moved to Pittsburgh the night before, and I remember him calling me several times during the day while I was at work. I thought it was a little out of the ordinary for him, but I figured he was bored with unpacking. After another phone call, I came home and was greeted at the door by a very dressed up boyfriend. He brought me inside, where he had arranged all of the postcards, letters, and little things we had exchanged while living in separate states and even countries (I worked in Tokyo, Japan, and studied in Vienna, Austria after dating my now husband for only six months). He brought up memories of our relationship and said something to the effect of, “You’ve given me all of these things, and now I have something I’d like to give you.” He got down on one knee, broke out the ring, and popped the big question! I said YES! Time passes so quickly – we’ve been married for seven years now, and I can still remember our wedding like it was yesterday. It really can take a lot of work to make time for each other – especially after having children! We try to do date nights at least once a month and are trying to carve out time daily to connect with one another. We have discovered new hobbies together – we first met playing basketball, but have also played volleyball together. We also enjoy cooking, searching for the best Wisconsin cheddar, drinking wine, snowshoeing, hiking, and traveling. My husband is also an amazing driver’s ed teacher, patiently teaching me how to drive stick-shift! I thought it was bad Mexican food that I had while going out to eat with two of my closest girlfriends. After calling them, and realizing that they were not sick, I took a pregnancy test the next morning. When the “pregnant” line became clear, I woke up my husband to share the exciting news! He asked if I followed the directions (not sure how you can mess up peeing on a stick besides “missing” all together) and was sort of in a morning haze of disbelief / excitement. 4. How did you choose your first baby’s name? My husband actually found my daughter’s name, and I found our son’s name. I think they both came from baby books, though I do know that we liked the meaning of their names. My daughter’s name means wisdom, and my son’s means diligent. We hope they are BOTH smart and hardworking…someday! Our children will be in late elementary school and middle school! We would eagerly share in their activities and continue creating our own memorable family outings and vacations. I’d like to travel internationally with my husband to Japan and with my entire family to the UK and Austria. We will most likely still live in Wisconsin to be close to our families, while traveling across a few states to visit aunts, uncles and cousins from time to time. I know for SURE that we will escape Wisconsin winters for a little reprieve! I find true happiness in some of the most unexpected moments. It can be something funny that my children say – for example, my daughter refused to run ahead with me during our walk, saying she wanted to stay with our whole family. I always love a good hug and cuddling up to read stories together. The images below are wonderful reminders of how blessed and happy we all are! Now tag 5 of your bloggy friends! I’d love to read about engagement, marriage, babies and bliss from my friends at these fabulous blogs – Motherhood is an Art, Keeping it Real, Pursuit of Plenty, The Sadder but Wiser Girl, I Will Have My Cake. Anyone else who’d like to play, please do, let me know and link up with Elaine! 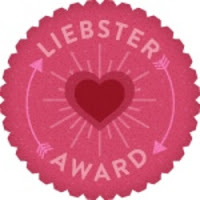 Wow – I received a nomination from Breadwinning Mama for the Liebster Award! I am so flattered that she chose my little blog. Thank you so much! I really enjoy reading her thoughts on working full time while balancing being a mom of three and wife. Check out her blog when you have a chance! The Liebster Award’s origins are pretty much a mystery. Bloggers nominate other bloggers that have 200 or less followers. It’s basically a “Hey, that’s a sweet little blog you’ve got there. Here’s an award!” You can’t just accept the award. You have to play by the (ever-changing) rules and pay it forward. Then you can put the award on your blog for all to see. 1. I grew up in Wisconsin and lived in Pittsburgh for several years after college. This is how the quest for the BEST cheddar began, when we couldn’t find our good Wisconsin cheese in da Burgh. 2. Ten years ago, I studied German / business in Vienna for a semester. Their Christkindl markets are so lovely. Drinking a steaming cup of Gluehwein and strolling along the booths was so perfect for this time of year. 3. I am an adventurous eater. Spending a summer in Tokyo DID give me a case of food poisoning, but I had some amazing sushi and some other things I can’t quite remember what they were. 4. I met my husband playing pick-up basketball in college. He was impressed by my jump shot and cool station wagon! 5. I consider my daughter and son my greatest accomplishments. I am so proud to be their mom and look forward to the adventures and challenges that lie ahead. Why do you blog? I started blogging as a creative outlet after leaving the work force to stay home with my kiddos. It feels good to have my own space to share what I’m going through in a format that is longer than just a Facebook status update. As a marketing professional, I’m trying to learn more about social media, and there’s no better way to learn than by doing it yourself. What is the best tip you’ve ever received from another mom about motherhood? Great question! One tip that stays in my mind the most is as your children grow, there are fewer physical demands, but more psychological demands. This is SO true with my 3 year old right now. Does social media ever make you blue? Yes, in some ways, I feel less connected to some friends on social media, while being more connected to other friends and meeting new people. Everyone has a different comfort level with how often and what to share. I still enjoy my snail mail too! How do you unwind from the chaos of motherhood, work, life? Reading, writing my blog, trying to get in a workout, watching Netflix with my husband, or the occasional date night! What are you reading right now … is there a particular book you want to recommend? Groundswell: Winning in a World Transformed by Social Technologies by Charlene Li and Josh Bernoff. It has a lot of great tips on how businesses are using social media to embrace customers and even their own employees. I’m taking some e-marketing courses online as well to help stay current in my field while I’m at home with my kiddos. I also would highly recommend Vanity Fair magazine for the excellent range of topics and intelligent journalism. You gain 30 minutes of free time. What do you choose to do? What do you like most about social media or writing a blog? My Liebster Nominees – Check these ladies out!